We offer a practical and hands on approach. We can help you with your home as much or as little as you need. You can cherry pick the services you want from one room to a full home renovation. If you have a project in mind we would love to hear from you, please contact us to talk about how we can help you realise your dream home. We offer our clients a full architectural interior design service from a single room update to a full home renovation. Our services range from colour consultancy to bespoke interior design, we are happy to discuss your project and what level of service you need. We are passionate and experienced in materials, finishes, electrical requirements, lighting, plumbing, ergonomics, and intelligent use of space. We have developed a strong network of preferred suppliers, builders and architects sourcing the very best and ensuring you receive the best care, advice and value for money. 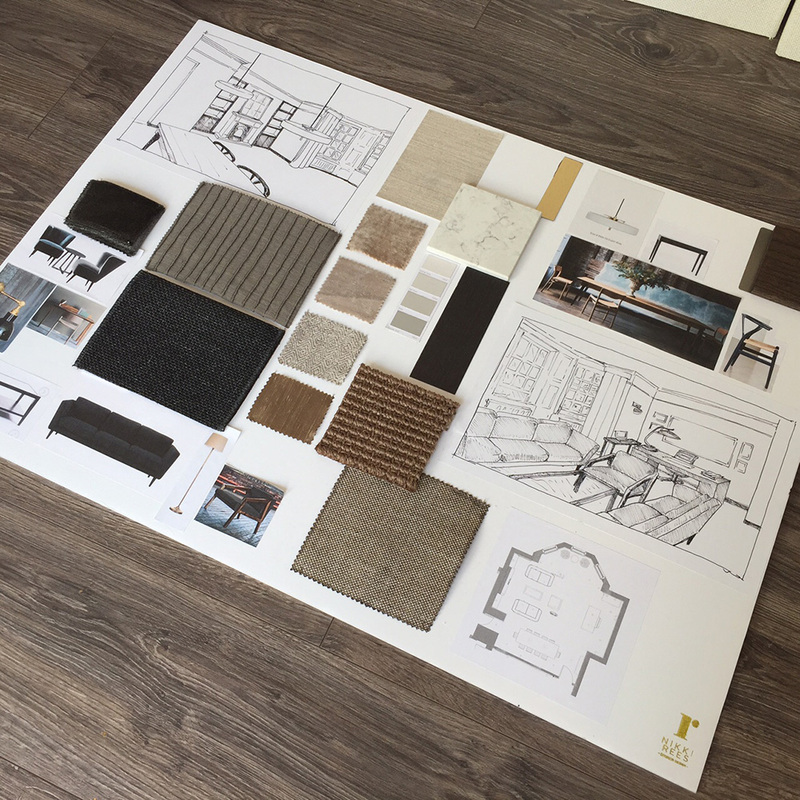 We are old school and believe in creating concept boards to ensure you fully visualise the space and have time to touch and feel the fabrics and materials so there are no nasty surprises. We offer a colour consultancy service for all rooms of the home, creating a bespoke palette incorporating all finishes and wall treatments to update your interior. We can give colour advice taking into account furniture you may treasure, artwork you love and the available light and architectural features. We are knowledgeable in paint specification, selecting the right paint, brand and finish for each room of the home. We produce finishes schedules for contractors giving clear guidelines for completion. We love taking the stress away from you and we enjoy project managing to create a simple and stress free process for you. 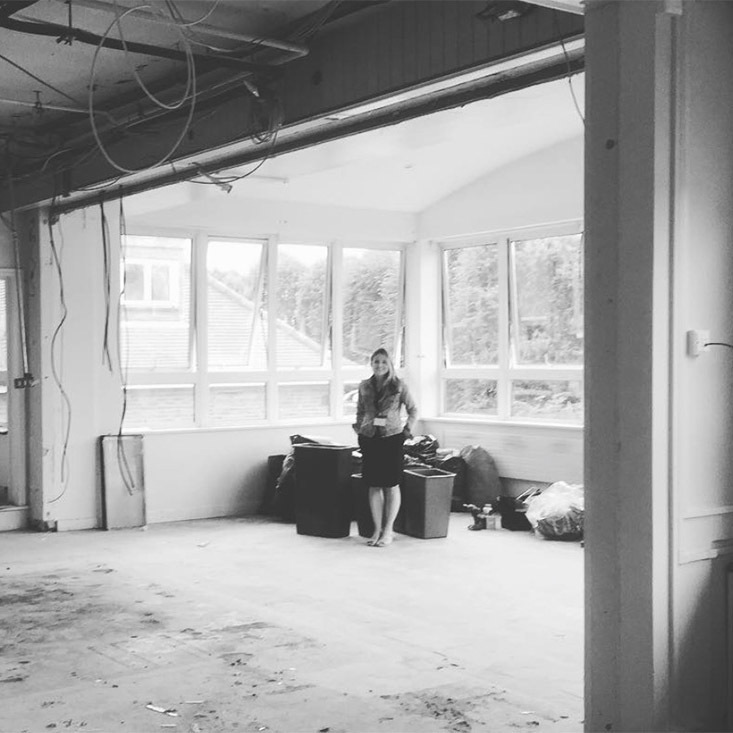 We can do as much or as little as you want, managing all stages of the construction process from the initial plans right through to the finishing touches. We can tailor the design to suit your budget and we constantly review and manage it so you know where you are with your money at all times. We believe how you live in a space and move around freely is more important than the colour or cushions at the planning stage. We enjoy adapting a space and planning the layout to ensure the design works for you and your family. Furniture layout and planning is second nature to us. We will visually create the best use of space possible while making sure your lighting and electrical services complement your new furniture layout. We happily provide CAD drawings and rendered elevations allowing you to fully visualise your home. We design bathrooms that stand the test of time. We plan the layout to suit your needs and maximize the space available. 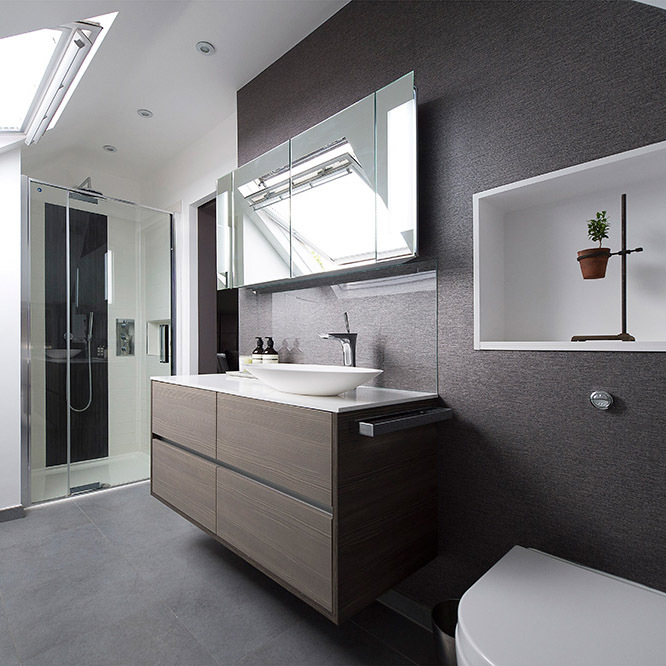 We source the very best bathroom suites and furniture down to the most elegant tiles and finishes. We understand the modern day demands on a kitchen space. It’s no longer a place just for cooking, it’s the hub of the home. We work with excellent kitchen designers ensuring your kitchen is beautifully designed and practical to take you effortlessly from breakfast to supper. Most important of all we ensure the kitchen design is consistent and enhances the rest of the home. A home cannot function well or look beautiful unless your belongings are housed and displayed in the best way. 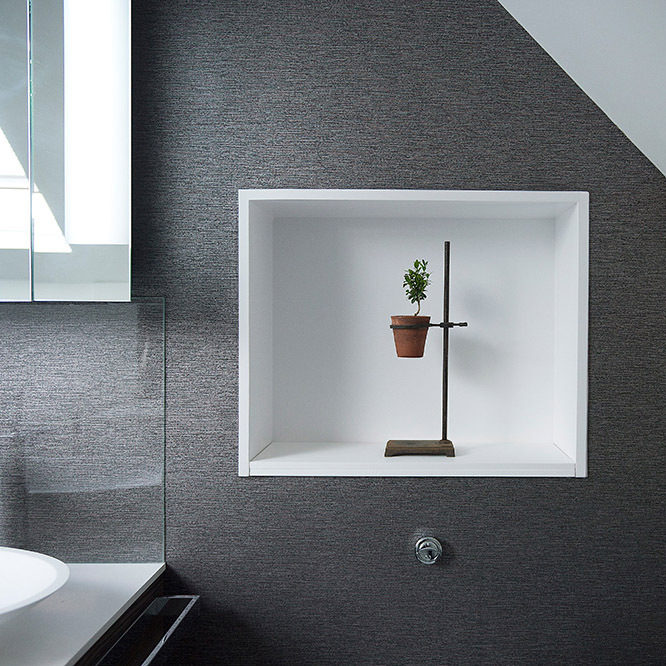 We love the little details and always strive to create clever, practical and stunning storage solutions. We have selected a handful of skilled craftsmen that bring our designs to life. 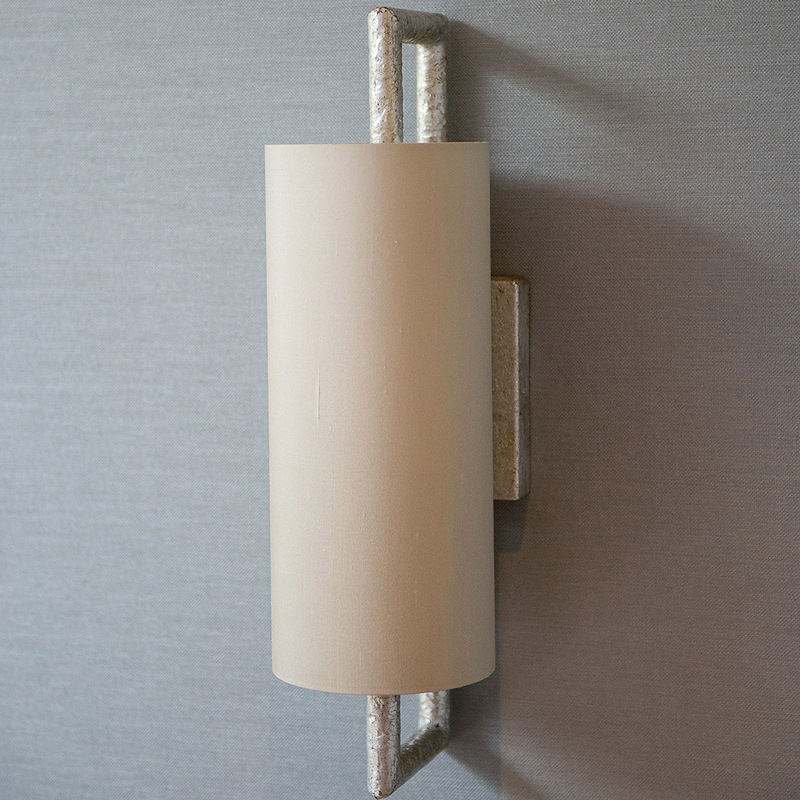 Lighting solutions are an integral part of any home. We are passionate that your lighting is functional and environmentally sustainable and creates the right mood for your home. We pride ourselves on our eye for the little details. 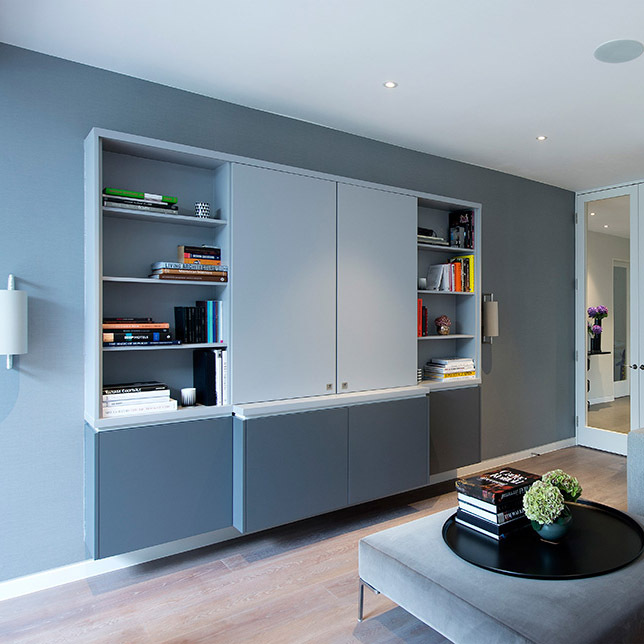 We effortlessly integrate the colour, lighting and furniture scheme to create beautifully styled interiors. 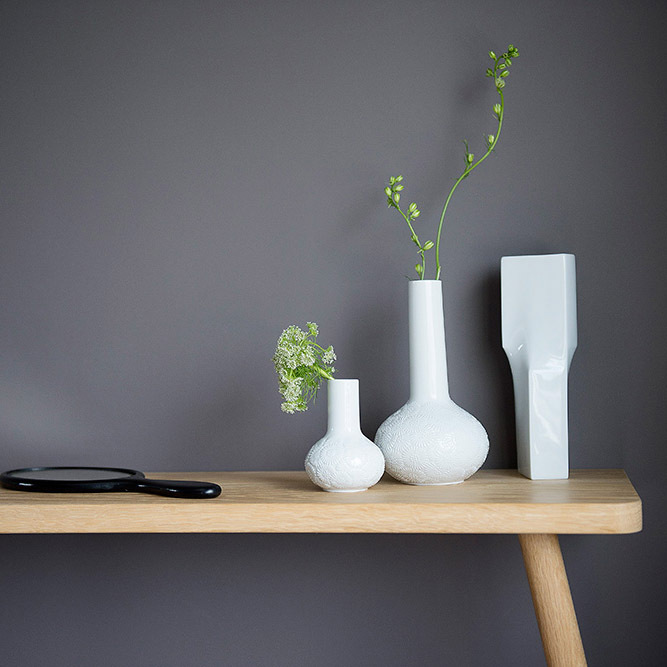 We are obsessed by sourcing unique pieces and accessories which bring an interior life. Our approach keeps trends in mind but we have a timeless style which ensures our interiors do not date and are relevant to you. With our wide portfolio of established furniture suppliers and our desire to keep up with the latest developments we source with ease, saving you time and allowing you to benefit from furniture that is specified to your interior. Whether it’s a single item or multiple pieces of furniture, we are devoted to sourcing the right furniture for you. We like to sit on every chair, where possible, and sample all finishes making sure we know you will love your furniture selection. We work with a number of skilled craftsmen allowing us to custom make furniture and soft furnishings, designed to your specification and budget, for true bespoke pieces. 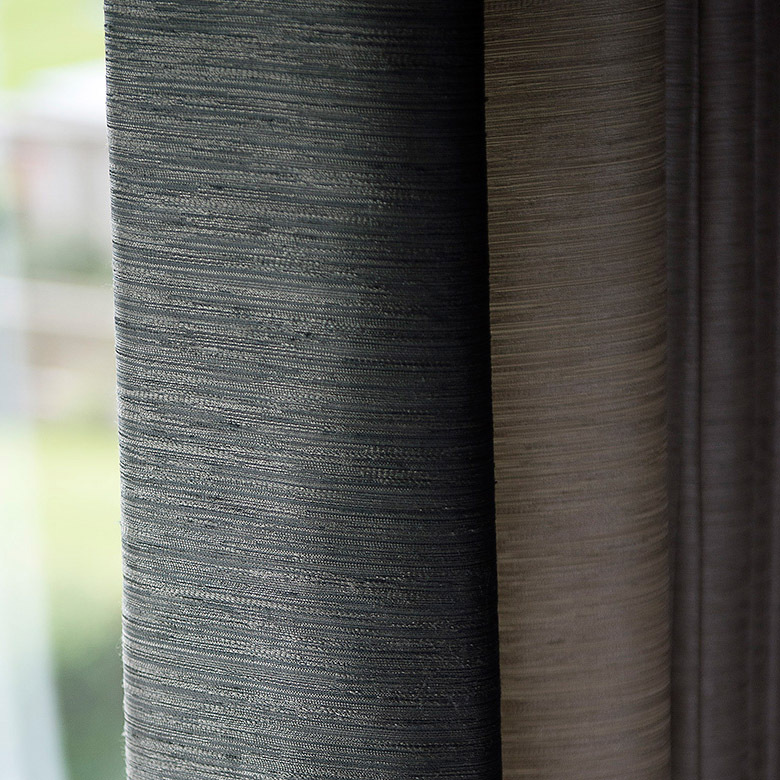 Every window needs the perfect dressing, whether it’s a full length curtain, roman blind or plantation shutters we have experience in selecting the best treatment to complete your interior. 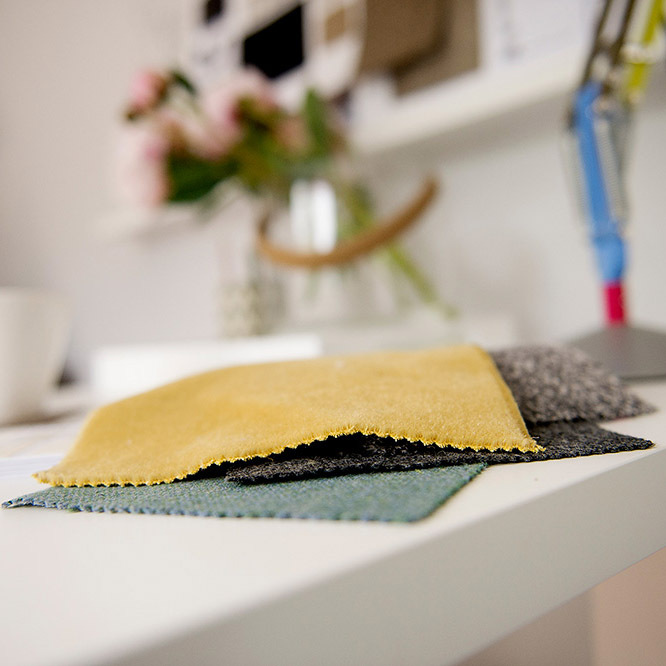 Within our team we are lucky to have an experienced textile designer with a wealth of fabric knowledge ensuring we can offer the right fabric for your windows and soft furnishings. With relationships with the very best fabric houses we keep up to date with the latest collections to offer you something special.